Rapper Shawntae Harris, (aka Da Brat) was arrested by Georgia cops in November 2007 and charged with felony aggravated assault. According to police, the 33-year-old Harris allegedly smashed a waitress in the face with a bottle of rum at an Atlanta area nightclub, sending the server to the hospital with cuts on her face and above her eye. 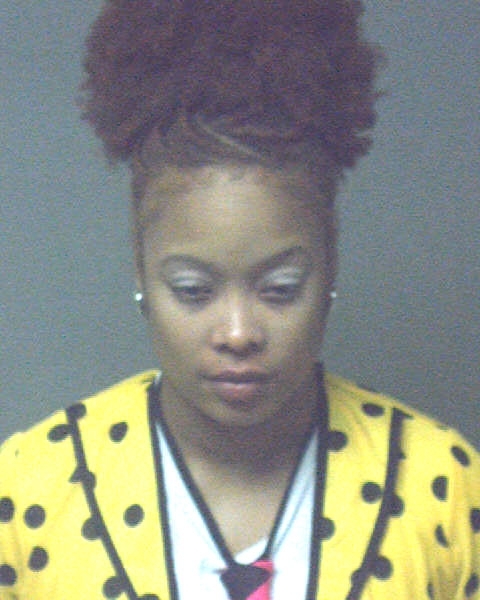 The star of reality TV shows 'Celebrity Fit Club' and 'The Surreal Life' was booked into the DeKalb County Jail where she posed for the above mug shot. Submitted by antiz on Mon, 2011-02-07 19:22. Submitted by rhawk3 on Wed, 2010-09-08 15:43.